When do I get Pre-Qualified for a home loan? Should you talk to a mortgage professional before house hunting? Absolutely! Even if you haven’t so much as picked out houses to visit yet, it’s important to see your mortgage professional first. Why? What can we do for you if you haven’t negotiated a price, and don’t know how much you want to borrow? When we pre-qualify you, we help you determine how much of a monthly mortgage payment you can afford, and how much we can loan you. We do this by considering your income and debts, your employment and residence situations, your available funds for down payment and required reserves, and some other things. It’s short and to the point, and we keep the paperwork to a minimum! Once you qualify, we give you what’s called a Pre-Qualification Letter (your real estate agent might call it a “pre-qual”), which says that we are working with you to find the best loan to meet your needs and that we’re confident you’ll qualify for a loan for a certain amount. When you find a house that catches your eye, and you decide to make an offer, being pre-qualified for a mortgage will do a couple of things. First, it lets you know how much you can offer. Your real estate agent will help you decide on an appropriate offer, but being pre-qualified gives you the confidence to know you can follow through. More importantly, to a home seller, your being pre-qualified is like you walked into their house with a suitcase full of cash to make the deal! They won’t have to wonder if they’re wasting their time because you’ll never qualify for a mortgage to finance the amount you’re offering for the home. You have the clout of a buyer ready to make the deal right now! You can always use the calculators available on our site to get an idea of how much mortgage you can afford — but it’s important to meet with us. For one thing, you’ll need a Pre-Qualification Letter! For another thing, we may be able to find a different mortgage program that fits your needs better. 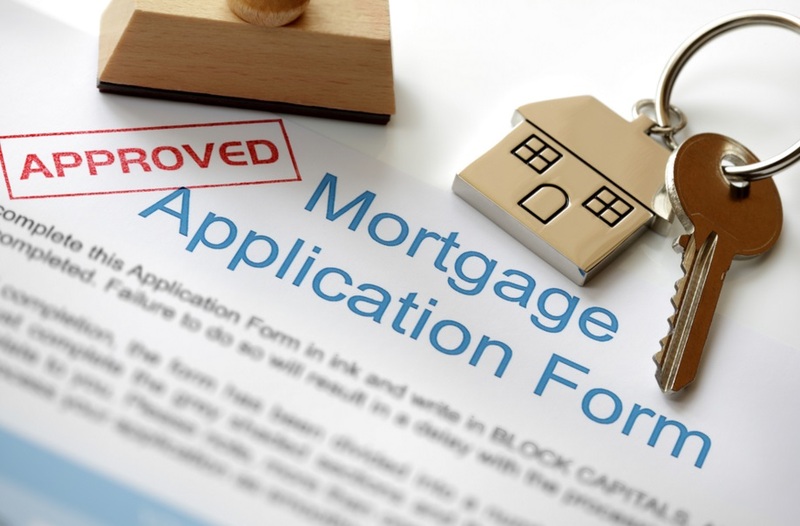 What is the mortgage loan process? An overview of the loan process Make no mistake, there’s a lot involved in getting a mortgage or home loan in . You wouldn’t be here on our website if you could fill out a one-page application and get the best loan for you funded the same day. What we do is most of the heavy lifting for you, so you can concentrate on what’s important — preparing to move into your new home, saving money, or making plans for your home equity line of credit. There are four main steps involved in getting a loan. You’ll see that we’ve made your part in them as easy as possible, and we do all the work! That’s what we’re here for. Step one: Determine how much you can borrow This is a function of a couple things. How much of a monthly payment can you afford? And given your unique credit and employment history, income and debt, and goals, how much will a lender loan you? The first part you can get a rough idea of by using the calculators on our website. We’ll also help you through different scenarios by asking a few simple questions. Based on standard lender guidelines, we’ll get you a good idea of what kind of terms and loan program you can expect to benefit most from. Step two: Pre-qualify for your loan This is where the rubber meets the road and you save the most money. You supply information about your employment, your assets, your residence history, and so on. We get your permission to run your credit score. When we review all this information we give you a Pre-Qualification Letter. Handle it with care — to a home seller, it’s like a suitcase full of cash! Your realty agent will use your Pre-Qual (as they may call it) to make the best offer on the home you choose, and the seller knows you’re pre-qualified. It gives you buying clout! And while you’re picking out the home that’s right for you, we’re busy finding the loan that’s right for you. Step three: Apply now! We make it easy Once you’ve made an offer and it’s been accepted, it’s time to complete the loan application. It couldn’t be easier, and you can do it online, right here at our website. When the time is right, we’ll order an appraisal of your new home. Step four: Your loan is funded Your realty agent and the seller’s will work together to designate an escrow/title company to handle the funding of your loan once it’s approved. We’ll coordinate with the escrow company to make sure all the papers your lender will need are in order, and you’ll sign everything at the escrow/title company’s office. You’ve answered a few questions, given us some detailed information, applied online, and next thing you know, you’re moving in! We’re in the business of mortgage loans — so we do most of the work. Doesn’t that make sense? Things to avoid before buying a home Many new homebuyers make the mistake of rushing out to buy things to fill their home with as soon as the seller accepts their purchase offer and the lender pre-approves their loan. But there are still a few major hurdles to overcome before the keys are handed out. Here are some things to avoid during the home buying process to assure your transaction goes as smoothly as possible: Don’t make an expensive purchase. It may be tempting to order that new sofa for your soon-to-be living room, but its best to avoid making major purchases like furniture, cars, appliances, electronic equipment, jewelry, or vacations until after the closing. Financing that furniture with a store credit card or even one of your own credit cards could jeopardize your credit worthiness during the time it means the most. Using cash to purchase big items can also create a problem because many banks take into consideration your cash reserve when approving your mortgage. Don’t get a new job. Lenders like to see a consistent job history. Generally, changing jobs will not affect your ability to qualify for a mortgage loan – especially if you are going to be making more money. But for some people, getting a new job during the loan approval process could raise some concern and affect your application. Don’t switch banks or move money around. As your lender reviews your loan package, you will likely be asked to provide bank statements for the last two or three months on your checking accounts, savings accounts, money market funds and other liquid assets. To eliminate potential fraud, most loans require a thorough paper trail to document the source of all funds. Changing banks or transferring money to another account – even if its just to consolidate funds – could make it difficult for the lender to document your funds. Don’t give a good faith deposit directly to the seller in a FSBO purchase. As a rule, your good faith deposit belongs to you, not to the seller, until the deal closes. Your FSBO seller may not know that your good faith funds should be applied to your expenses at closing. Get an attorney or other neutral party who can hold the deposit or put it in a trust account until you close on the home. Your purchase contract should dictate to whom the funds go should the transaction fall through. Don’t disregard your lenders requirements. 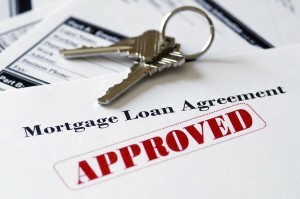 You may have been pre-approved for the loan but your work with the lender is far from over. In order to process your loan, you need to meet certain requirements. Your lender will need copies of your bank statements, W2s and other paperwork. It is up to you to get it to him or her as soon as possible. Failure to submit certain qualifying documents could cause you to lose your loan and the financing you need to buy your home.